The Motorola company has always won positive reviews with its flagship phone, X. But this year, they opted out of the X, we have two new Moto smartphones; The Z and Z force. The phone company did not just opt for a different naming, this are particularly different devices from the X, which Motorola has put out in recent years. These devices are with remarkably modular design, and allows you to snap into its Motorola optional accessories; a speaker, a projector, and a battery pack. There is also a 'no headphone jack' feature, and they're exclusive to Verizon. The Moto Z has a great display, a sturdy, incredibly slim design, with its remarkable Moto Mods being elegant. This smartphone performs very smart and excellent, and fast charging. There's is no jack for headphones, instead it has just the USB-C port and a headphone jack port adaptor dongle. This feature could mean a flaw, since you won't be able to listen to music while you are charging. Another annoying feature that's maybe worth embracing is the bulgy fingerprint on the front of the device, looks like a home button, but really does nothing aside reading your fingerprint. The Moto Z runs on an Android OS 6.01 (Marshmallow), 2.2GHz quad-core Snapdragon 820 processor. A battery saving mode feature called Doze, Android pay, and Google's digital assistant 'Now on Tap' – makes you get lineup of Google apps, deeper integration, are all available. Without the Mods, the Moto Z is a good Android phone that has the same powerful specs and amazing performance as other top-tier rivals for about the same price. Still, the Mods — cool magnetic modules that you can slap on the back of your phone to give it amazing mobile powers, are the main features of the phone, and the Moto Z wouldn't be really special without them. 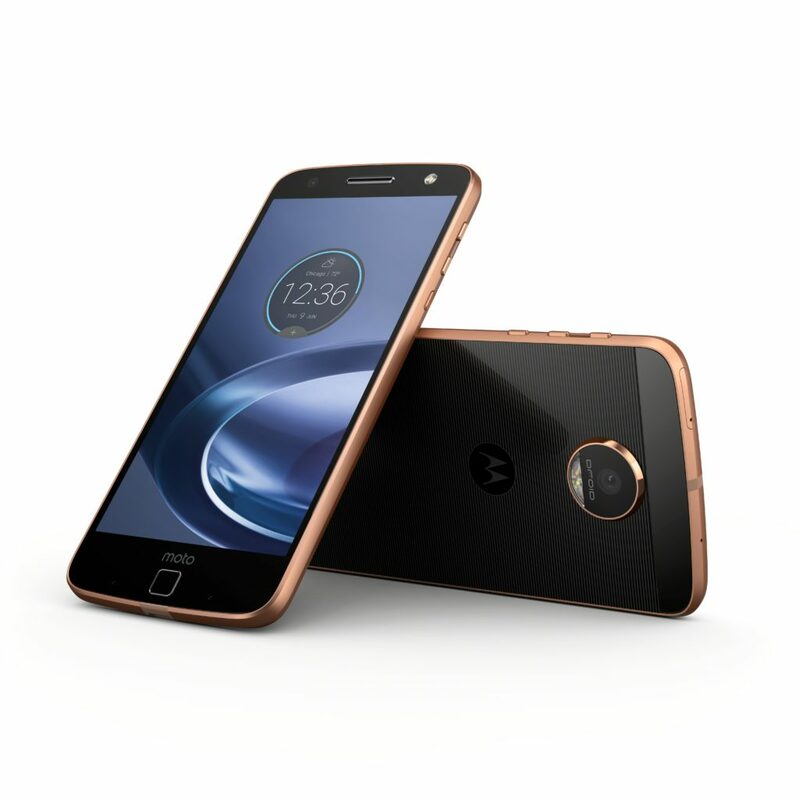 The Moto Z Force has a great screen display and a shattershield protection from rough drops and falls, an excellent 21-megapixel camera, plus its elegant Moto Mods. Its battery life is remarkably excellent. This is a big brother to the Moto Z, almost the same performance but with a better camera, protected screen, and bigger battery. The Z Force is a pretty cool smartphone, with Moto Mods, which acts as either a customizable cover on the back or enhances the device by pumping out music trough the speakers or increasing the battery life. Swapping out accessories is smoother and easier, and you don't have to power off the phone. Its main feature is its modular capabilities, which allows you switch out its bottom bezels for other accessories. You will have a lot of fun with the Moto Z phones, if you fancy swappable phone components.